It’s a good formula. 1 boy+1 girl=good fun. Add in some sampling, computer mixing mayhem, and some distorted girl vocals and you have the creative stylings of Tiger Force. They’re playing a free show tonight in London at Catch 22 with The Bleeps. Oh Canada, how I love thee! Crystal Castles is straight outta Toronto. Named after She-Ra’s castle, he lays down beats as a background for her to sing, mic test, or scream. I definitely need their vinyl for remixing powers. Check out BiBaBiDi’s interview with them. The Brits’ album The Debt Collection came out in 2005, but it looks like it’s only available as an import, so I don’t feel too awful about not getting with it until now. Hear some more here. During my first listen to Airborne Toxic Event, I hear the voice. The low, beautiful voice reminds me of Alex Kapranos, and I love it. Then the drums beckon my feet to move. The slower songs make me think more 80’s, perhaps Cure or The Smiths. Their name is from a book by Don Delillo called White Noise, and they come from the mighty Mexifornia (you’ll only get that if you watch SNL). They’ll be playing at CMJ in November, so get out there and see them before they get signed. Does This Mean You’re Moving On? 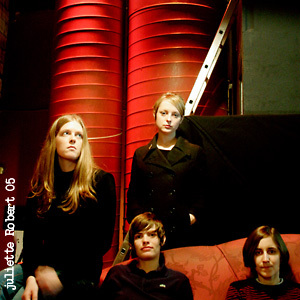 Power house Electrelane has just released a B-Sides, Rarities, & Live album on Too Pure. Too Pure is a great label boasting releases from such acts as PJ Harvey, Tracy & the Plastics, and Stereolab. 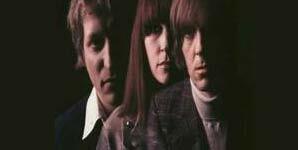 Electrelane also just finished writing a new album this summer in Germany and are recording now in Michigan. Their last album was so great it got them on the cover of WIRE magazine, you know the indie/noise/hip kids guide to music mag. Thanks to Juliette Robert for the pic from her beautiful collection. Sorry dudes my internet has been sparse this last week. It’s getting harder to find time to make a decent post so uhh here’s a bunch of mp3s I just can’t write up right now. 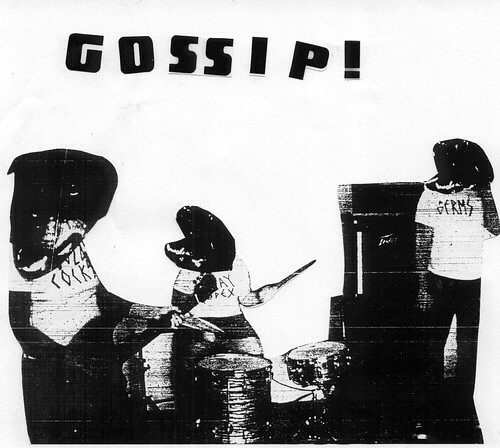 Olympia’s The Gossip are taking North Texas by storm today. DON’T miss their instore at Good Records today at 2 PM and if you feel like having an awesome time, make the drive up to Hailey’s in Denton to see them play with the excellent Swan Island (not Swan Lake) and Mika Miko.